Hello, dear all. Thanks for supporting and liking WellCee. More than half of our users come from outside of China, making WellCee a melting pot for different cultures and languages. Exciting stories are happening with WellCee every single day! WellCee has gathered a group of people who enjoy life and good companies, and are always excited to try new things that could bring new possibilities to life! Today, we’ll share an event that might bring you new sparks in this Hot summer of Beijing! 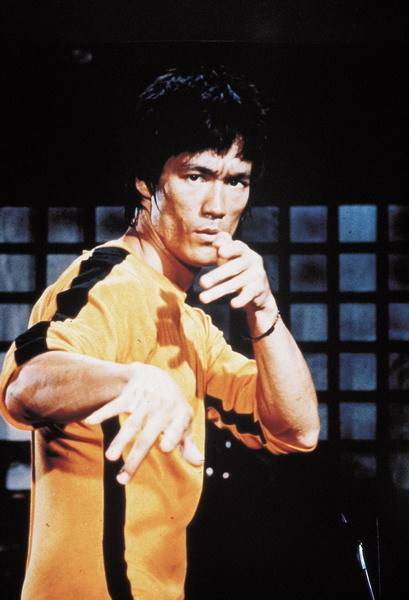 Chances are that even your friends and relatives who have never been to China, knows about Jackie Chan, Bruce Lee and what they are famous for - Kung Fu. Kungfu has been long-time associated with and a symbol of Chinese culture. No matter if it was from the fight scenes in bamboo forest in Oscar award winning film Crouching Tiger, Hidden Dragon, or the giant panda pursuing his dream to be a master in the popular Dreamworks production, Kungfu Panda. The reason why kungfu has such a global appeal is not only because its fascinating movements and powerful effects depicted in the movies and books; but also the cultural and philosophical meaning associated with each move and school of kungfu that’s worth exploring by itself. In the real world, kungfu continues to remain an unique way for people to learn about Chinese culture, as well as a way to keep fit. Many people from around the world are in love with practicing kungfu. Kungfu Show : "Chinese Vs Indian"
So are you interested in Kungfu? Join the Tianyi Kungfu Club. It offers classes of different levels. So no matter if you are a beginner or you’ve practiced for a while, there’s something for you. From 5 to 55, Tianyi Kungfu Club is open to people from a wide range of age and backgrounds. We have high-profile Chinese-Canadian Kungfu Master, whose side job is CEO of an Internet company here in Beijing. Kungfu Master Li Da, who will be teaching the class, is former President of AIESEC Canada, and current CEO of Deya Tech. He moved to China from Canada over 10 years ago and ended up staying and founded his own tech company. Even though he grew up in Canada, Da has practiced Kungfu for more than 20 years. So he’s very experienced. Even as a CEO of a thriving startup company now, he has never forgot his love for Kungfu. And he’s happy that not only he can keep fit by practicing kungfu, but also has the opportunity to share it with many others through the club. We also have a beautiful and multicultural crew who loves exploring kungfu alongside with you. All classes in Tianyi Kungfu Club are taught in both English and Chinese, which attracted people from many different countries. Some of the long-term members are from India, USA，Thailand, Germany, and China. Even though everyone is from different cultures in different continents, they were brought together because of the shared love for Kungfu. It’s amazing to be a room with people from all different backgrounds, but are as passionate and curious about kungfu as you are! "After practicing kungfu, my back pain from long-time sitting has been reduced and I no longer have to go to a masseuse; I’ve also gained a new understanding about kungfu, knowing now that there’s so much meaning behind each single movement; I also got to meet new friends from different countries and professions. But we all became good friends just from practicing together. " The first half an hour of a class is focused on warming up the muscles and flexibility training. This is essential in preventing injury while training. Basic punching, kicking and combined movements. Defense and attack training evolves from singular techniques to combinations and eventually to sparring. Routines are an important part of kung fu training. They are critical to the improvement of coordination and physical conditioning. Once routines are mastered, they can be dissected to provide based applications. Routines will increase in the degree of difficulty as students move forward. Each class finishes with physical conditioning exercise to help build strength and stamina. In this cold winter, fancy joining the Chinese Kungfu class and practice with other Kungfu-loving buddies from all over the world? Sign up today for a trial and maybe you’ll fall in love with it too! Each class is only 50RMB. You may as well like to invite your friends and roommates to join you!